We invite all English-speaking parishioners to attend the adoration of the Blessed Sacrament and the sacrament of confession on the next Saturday, 6th of April, at 7 pm. 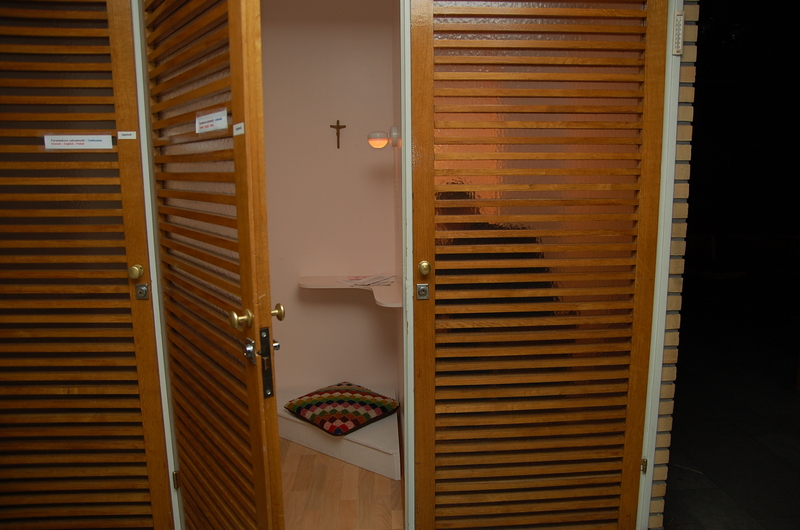 There will be an introduction to the sacrament of confession at the beginning of the adoration. There will be changes among the priests working in our parish. Fr. Robert Galla SCJ will leave Finland and return to his homeland at the beginning of July this year. Fr. Zenon Strykowksi SCJ will come to work in our parish as a parochial vicar. This years’ Lenten Collection supports building water supply in the village of Jaruma in Bolivia. The lack of clean water and poor hygiene cause health problems in the region. By participating in the Lenten Collection, we can donate clean water to our neighbours. There is a collection box at the back of the church on your right. There will be commemoration of the Sacred Heart of Jesus on the next Friday, 5th of April. The adoration of the Blessed Sacrament will start after the evening Mass and Stations of the Cross and will last till midnight. We will celebrate the Stations of the Cross in English on Sundays at 5.30. © 2019 Saint Mary. All Rights Reserved.